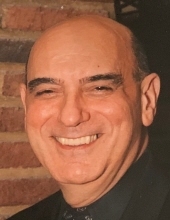 NORMAN V. TAGLIAFERRI, age 83, Beloved brother of David B. (Lois). Dear uncle of Matthew J. (Janet) and Angela Tagliaferri. Great uncle of Gabriella and Sophia Tagliaferri. Son of the late Norman and Josephine (nee Amato) Tagliaferri. Loving partner of Kenneth Mahall (deceased). Active member in the Rocky River and Bay Village communities. Passed away April 2, 2019. Funeral Service 4 PM Saturday, April 6 at McGORRAY-HANNA FUNERAL HOME OF WESTLAKE, 25620 CENTER RIDGE ROAD (WEST OF COLUMBIA RD.) WHERE FRIENDS MAY CALL FROM 1 PM UNTIL THE TIME OF THE SERVICE. Interment Private. "Email Address" would like to share the life celebration of NORMAN V. TAGLIAFERRI. Click on the "link" to go to share a favorite memory or leave a condolence message for the family.